Call Us Today! 802-345-9644 Get in touch now! Rutland’s only fitness studio committed to results based fitness utilizing semi-private, group and 1 on 1 training sessions with an expert coach leading you through each move of your workout and supporting you thru each day of your fitness transformation process. Located at the Howe Center since 2013. Clients love the motivation, variety of workouts & on-going support provided by our expert trainers. We are built on core values like engagement, empowerment, & inspiration which means are going to go above and beyond to help you confidently and aggressively accomplish your goals. 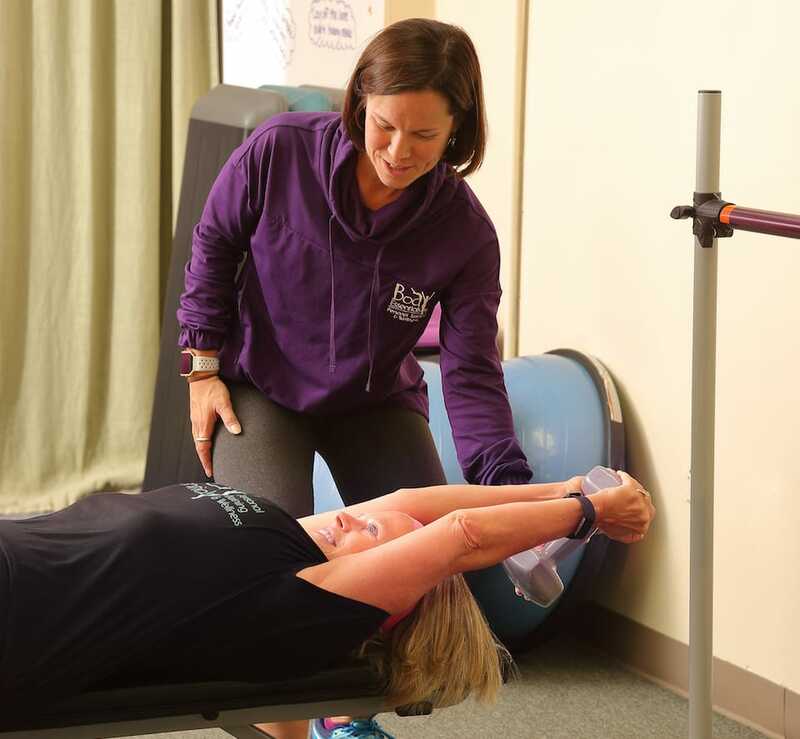 We are committed to providing innovative, relevant, individualized and accessible fitness and nutrition programs that will empower our clients for life. At Body Essentials, clients join for the personal attention & private setting. Members stay for the community spirit, on-going results & innovative workouts. If you are looking to kick your workout routine up a notch, then you have found the right place. 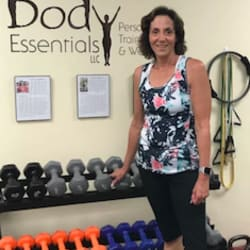 Personal Training in Rutland offers personalized, one-on-one training to all clients. Participants in semi-private training love the camaraderie of training with one another through challenging yet personalized workouts. Our group fitness sessions add extra energy to your weekly schedule & provide an opportunity to meet new people & build a larger support system around one common goal: Getting Fit! We pledge to provide you with a fitness environment that will be supportive, passionate, safe, full of integrity while promoting excellence and fitness in our community. The benefits of cardiovascular fitness are endless. Along with improved endurance, metabolism & efficient recovery time on muscles, you will also help protect yourself from countless diseases & leaving you feeling great long after your workout. Resistance training will leave you feeling like a super hero. Not only will it tone & shape your body leaving you lean & mean. It will also protect joints, improve mobility, and help build flexibility & balance. You cannot out exercise a bad diet. Our nationally known Balanced Habits nutrition programs will teach you how to eat balanced meals at the right time and portions without having to give up the things you love. 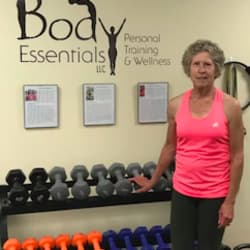 Body Essentials Personal Training studio helps each client improve their fitness in a fully supervised & intentionally programmed setting whether in our semi-private groups or 1 on 1 sessions. Your workouts will focus on utilizing your entire body with exercises & equipment that you can easily replicate at home. Regardless of the workout, Body Essentials clients leave feeling like every muscle was used up. All workouts are coached to meet the needs of each participant including modifications for varying fitness levels & client needs. What are you waiting for? Come in and check it out! Since I have been working out at and participating in various types of classes at Body Essentials, I have more strength and energy to do other things like yard work, bike riding, and walking. I really appreciate the design of the workouts and the focus on my individual need like improving my balance. 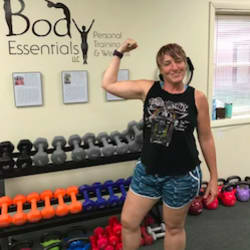 Why I love Body Essentials: When I moved back to Vermont I had difficulty working out: small apartment, no room for my equipment, time constraint with new job! Then a friend suggested I try Body Essentials. So I did some drop-ins for two months. I really enjoy the friendly clients and staff. The mixed up workouts and classes were never the same. I have never really liked gyms for the very reason of stagnant same routines. Truly individualized workouts with Nicole. She as well as Christie and Maresa push me to work harder every time. I walk out feeling tired, some days sore, but accomplished every time. Now I make time for class, ending my day with purpose to make it to class on time. I no longer feel my job is priority one; that I am. 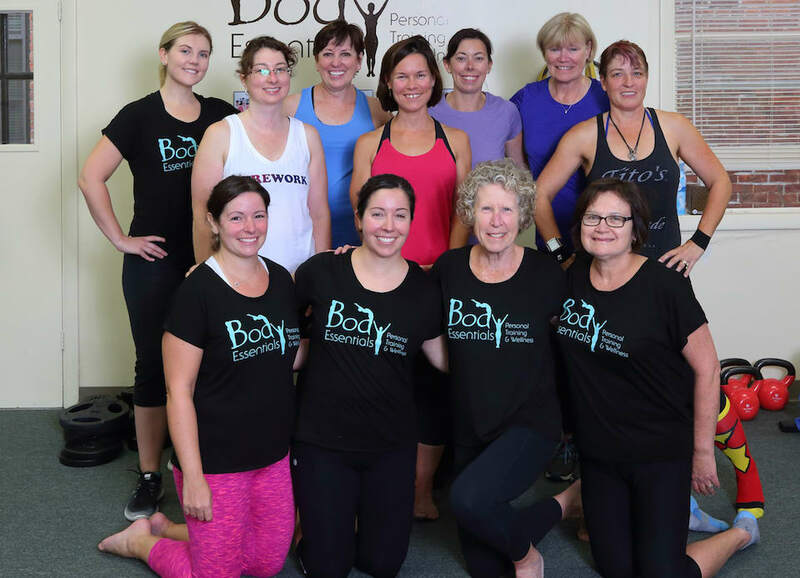 Training at Body Essentials helps me feel accomplished. I have been coming to Body Essentials for almost a year. 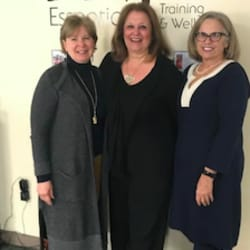 I can't imagine doing a wellness program without them. I always feel supported. Even during the times when I lost some motivation I felt like they made it a priority to help me get back on track. I get pushed further than I knew I could work and it helps me reach my goals! Now I tell myself "I can do anything for 1 minute" and keep going! They keep things challenging but fun.